For our blind cleaning services we use an eco-friendly, biodegradable, ultrasonic cleaner. We also offer a variety of certified environmentally-friendly, non-toxic, energy-efficient, and sustainable products. CaesarStone offers a line of products containing up to 42% post-consumer recycled materials. They were also the first quartz manufacturing company to receive the ISP 14001 certification. We offer Moso bamboo from Teragren. Bamboo is not a wood but actually a large and sturdy member of the grass family. Bamboo is known for its fast growth and sustainability. Teragren flooring products are certified by the California 01350 standard for indoor air quality. Cork is a renewable material as it only uses the bark of the cork oak. This layer grows back after harvesting and the process does not damage the tree. Cork is favored as a renewable resource that does not contribute to deforestation. Kährs of Sweden has been making hardwood flooring since 1857. They were the first to patent multi-layer engineered wood flooring and are the oldest floor manufactuer in the world still in operation. 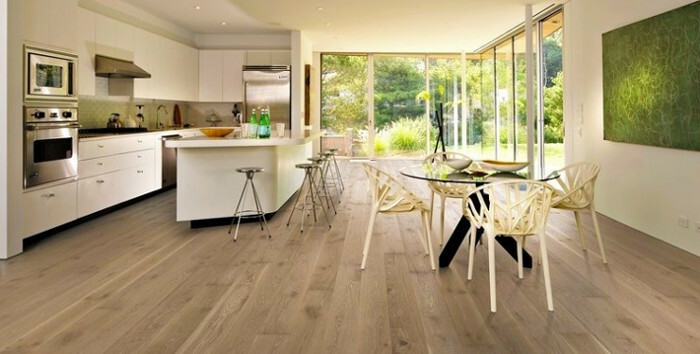 Their flooring uses fewer raw materials, comes from renewable resources, and is recyclable. Kährs meets European E1, Eo and California Air Resources Board – Airborne Toxic Control Measure (CARB-ATCM) Phase 1 and 2 standards. They practice responsible forestry and use environmentally friendly stains and lacquers. Mohawk products meet GREENGUARD and the Carpet & Rug Institute standards for minimal effect on air quality and lack of indoor chemical emissions. Several of Mohawks flooring lines use recycled materials in the creation of their carpets. Emser’s tries to incorporate environmentally friendly practices wherever possible. They also have a companywide program to incorporate environmentally conscious office practices and programs. EarthWerks luxury vinyl products are recyclable and contain recycled content. All their products are manufactured in ISO 14001/9001 energy-efficient facilities. Intermountain Wood Flooring is certified by the Forest Stewardship Counsel (FSC) for obtaining materials with sustainable practices. Mercier is an FSC certified company and holds the highest GREENGUARD certificate level possible for indoor air quality. They recycle 100% of their post-production wood waste and all their packaging is made from 100% recycled materials.